I’ve traveled quite a bit, and since about 2001 I’ve carried either a small camera or at least a cell phone with a camera. These pictures appeared on my main page at one time as a photo of the day or week—something to share with the people kind enough to visit my web site. 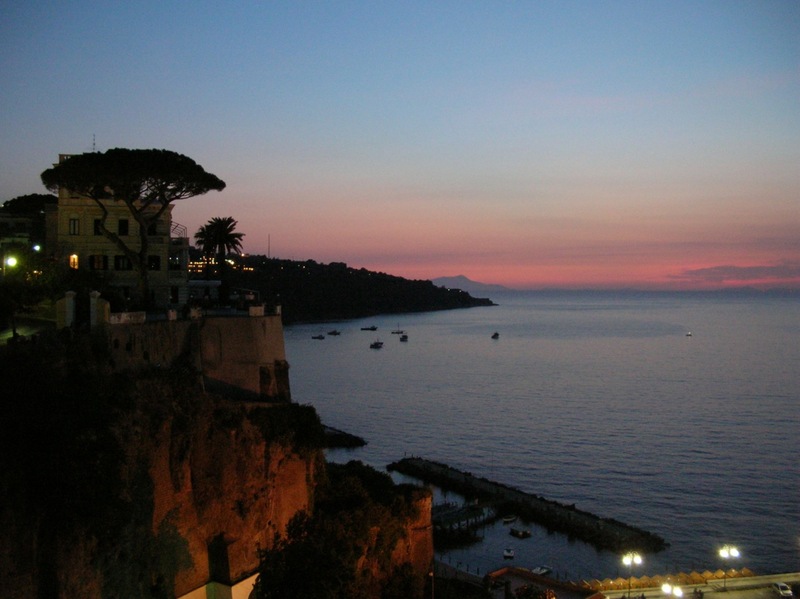 Sorrento, Italy, Looking west from the gardens of the Hotel Grand Excelsior Vottoria—circa 2006. Photo of the old neighborhoods of Matera Italy from across the Gravina river. The main Duomo (Cathedral) is atop the hill. Not sure when the photo was taken, perhaps 2000. The MLRO astronomical observatory is located nearby and Matera, one of the oldest cities in the world, is the site where several films have been shot, including King David (Richard Gere) and The Passion of the Christ (Mel Gibson). 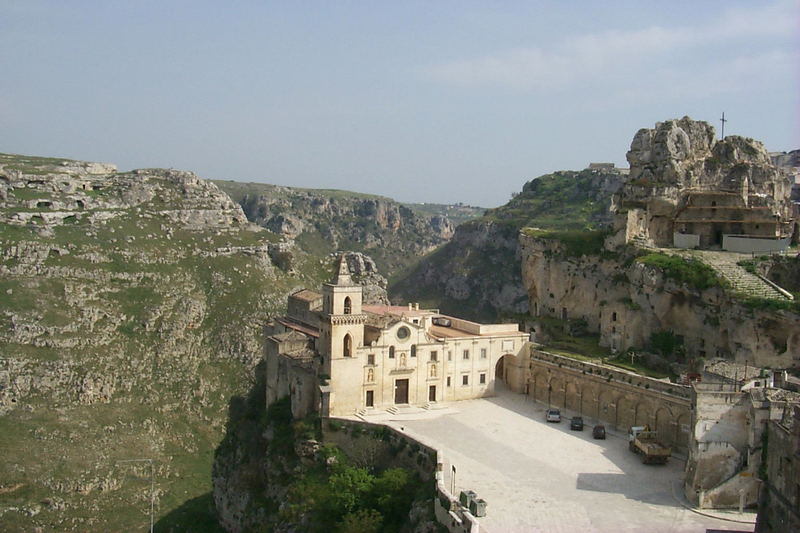 Matera is located in the region of Basilicata in southern Italy. I’ve spent (cumulatively over time) over 2 years in Matera, either on business trips or vacation. 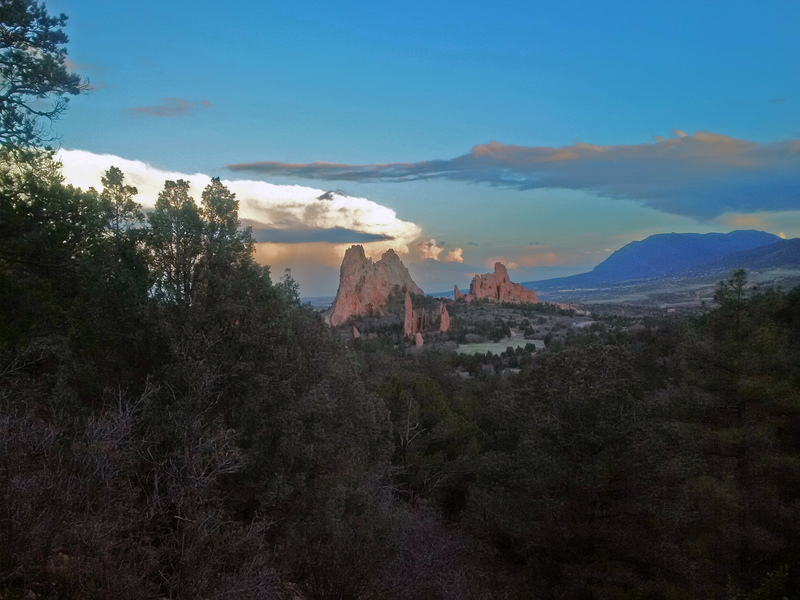 I snapped this photo while hiking on the Palmer Trail in the Garden of the Gods (near Colorado Springs)yesterday evening. The trail was rather muddy and the sun was going behind the mountains to the west at the time. 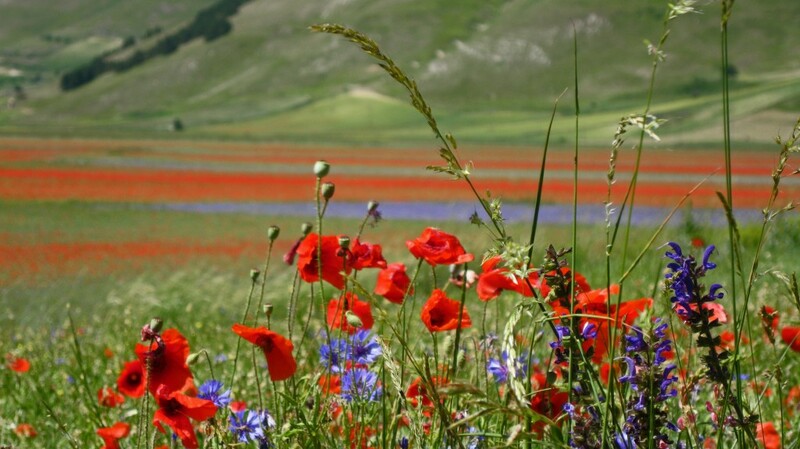 From my last trip to Italy: I was staying with a friend in the Camerino / Muccia area of Marche when the first pair of large earthquakes hit. The first earthquake motion was mostly vertical and this quake was smaller than the one that would follow a couple of hours later. There was a small amount of damage done to the house, but like most people in the area I took it as a sign to get out of the old building, which was built using a dry stack process of rocks (no mortar). Earlier that day—in fact, just before (and as the sun was westering), I had taken a walk through the old central parts of Camerino—I’ve stayed here a number of times and Camerino is one of my favorite Italian towns, so I carried my camera and for some reason began taking as many pictures as I could. Above is one of the photos I took, I hope to combined it with a photo I saw on the web, taken by (AP Photo/Alessandra Tarantino) and have asked permission. 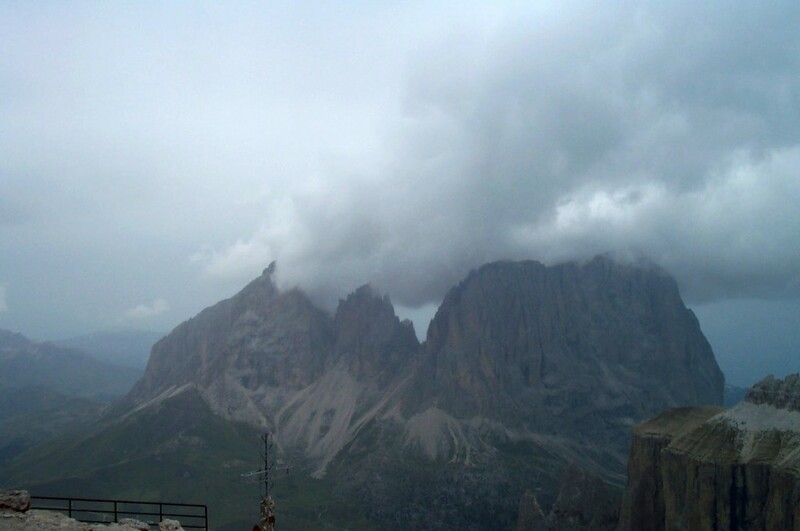 Anyway, My picture was taken about 3 hours before the earthquakes hit and the other appears to be from the next day. Unfortunately, the old central part of Camerino is in terrible condition and my friend as well as her extensive family in the area and 95% of the people living there lost their homes to the earthquake—too damaged to occupy and in need of destruction before rebuilding can start. Fortunately, the less damaging earthquake hit first, and this meant that when the larger quake hit—the one with mostly horizontal motion—the older buildings were empty and no one was killed as the buildings collapsed throughout the region: a miracle. Aftershocks have continued to hit the area and the old central part of the city is off limits and has been taken over by rats. Still, everyone looks forward to rebuilding and breathing life back into the many beautiful towns. Another of my favorite towns was severely damaged: Visso, a great place to visit and to eat. 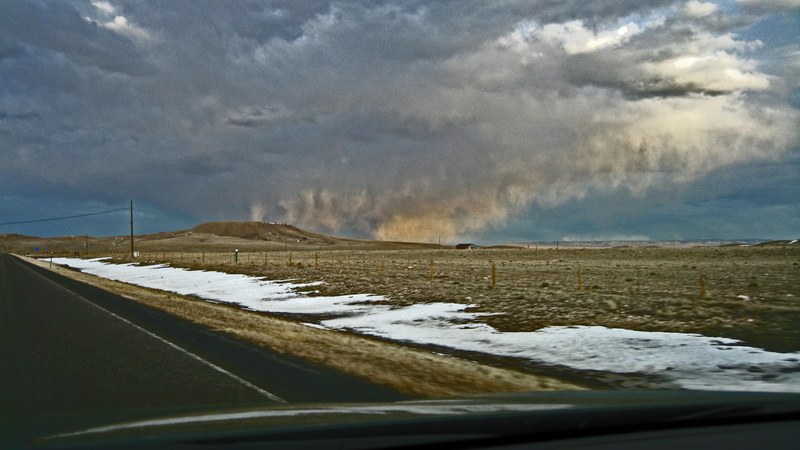 I snapped this photo while driving from Centennial Wyoming to Laramie Wyoming. I was on a 5000 mile tour of the country, trying to choose a region where I would move after I decided I didn’t want to work for corporations any longer. I saw this fairly intense storm form and thought it looked interesting. I took this photo from the church grounds in the village of Labro in central Italy. 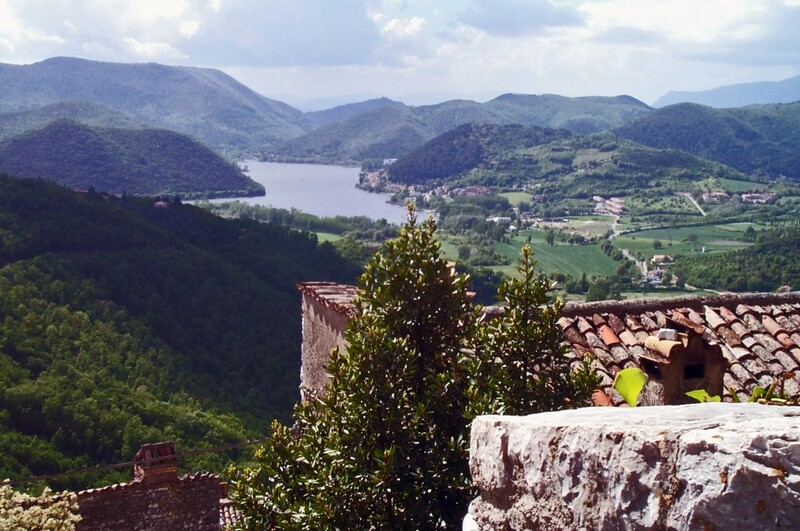 The lake named Piediluco is pictured in the background. Interestingly, I we met a priest while visiting and learned that he had become the parish priest here in 1938—the year my mother was born (for almost 70 years) at the time I was there. Like many older villages, Labro is built atop a steep hill, and the church is at its apex. 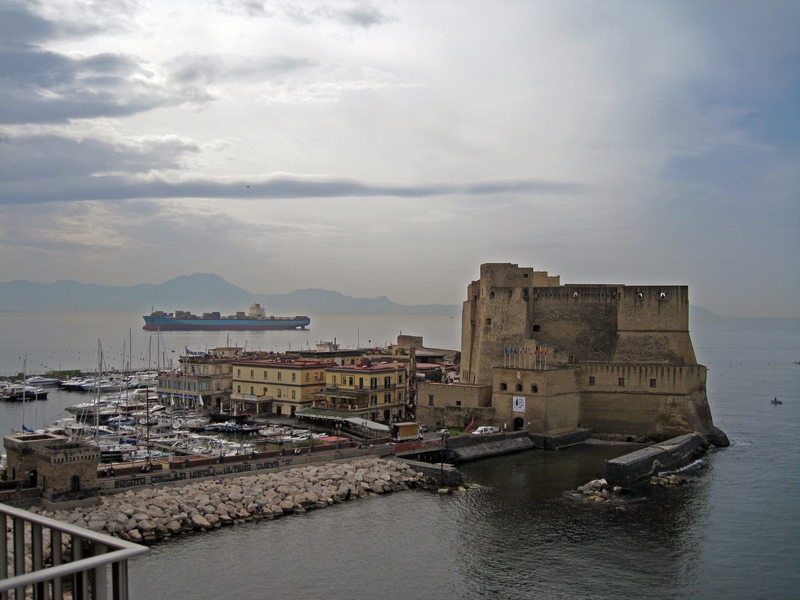 Castel dell’Ovo (Egg Castle): The oldest standing fort in Naples Italy. 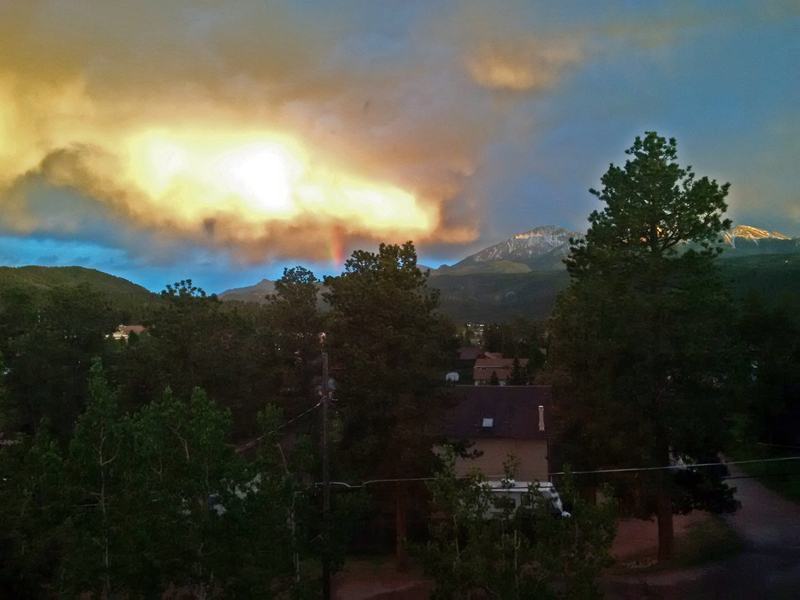 I took this picture from my hotel balcony while on a short vacation to get away form flight testing on HALOE (High Altitude LIDAR Operations Experiment). 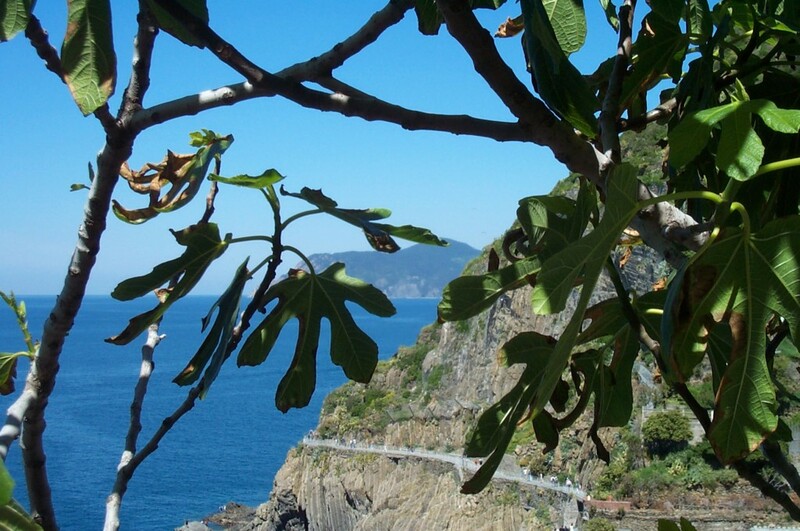 Image taken from along the walking path between the five “Earths” (villages)—the Cinque Terre—in Liguria Italy, along the northwest coast. The villages are linked by a train that runs through tunnels and the walking path. Of course you can take a boat, as well. It’s a very relaxing area in which to spend time. 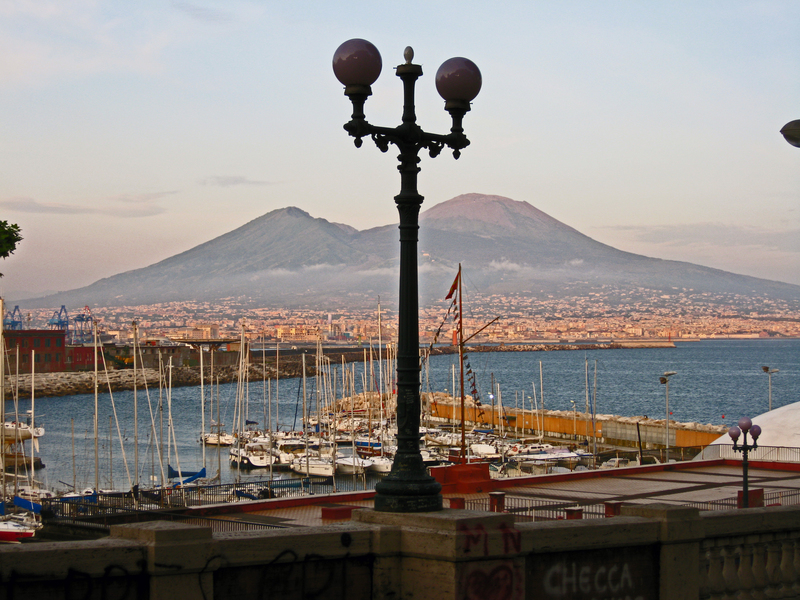 The region features a lot of seafood and bright tasting white wine. This is the “School Pond” located in Mueller State Park, Colorado. 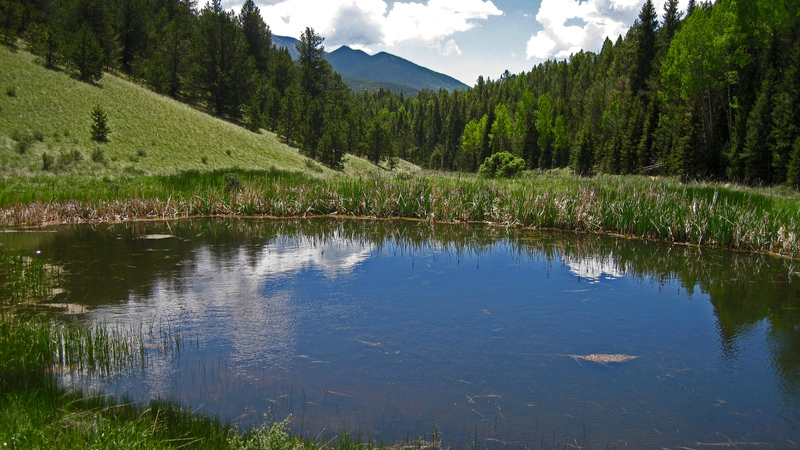 The pond was used as an open schoolroom in the past, when Colorado was being settled. 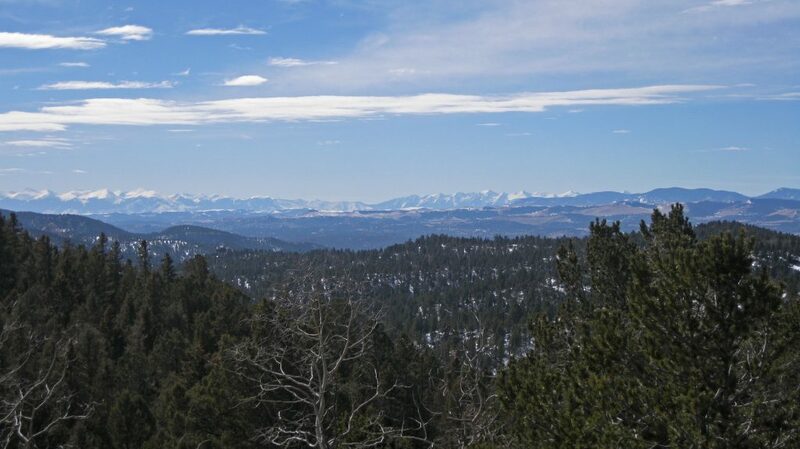 This area contained ranches at the time, most of which were bought up over the years and then donated to the state of Colorado to be used as a park. I took this picture from my front porch just one or two weeks ago. The fog had been covering the town all day—very thick—and I could barely see past the house across the street. Then, in the late afternoon, the fog separated into layers and lifted for a while. The fog is always playing little games around the pass here—I live in Ute Pass, which is just north of Pike’s Peak. After this photo was taken, the fog returned. 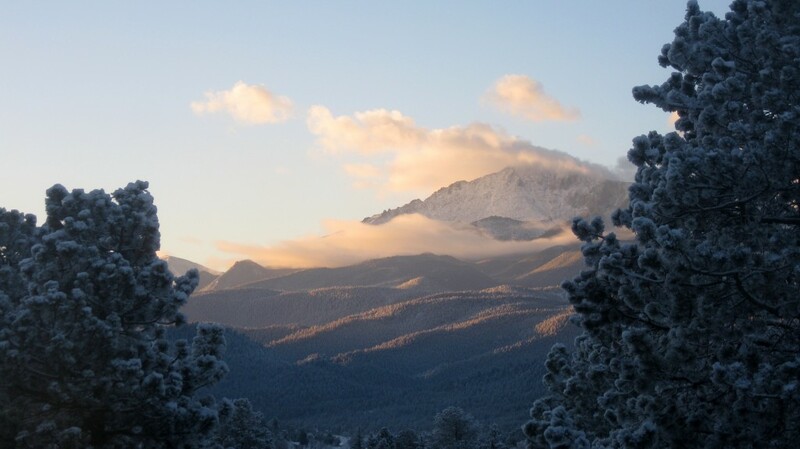 In this photo, Pike’s Peak’s summit is hidden in the fog / clouds. Woodland Park (named The City Above the Clouds, despite the picture) is nice, a small town of about 7600 people. It never really gets hot here. I think the measured record temperature was 89 degrees F, although usually it doesn’t get warmer than the upper 70’s degrees F most summer days, and it drops into the 50’s at night. It can be cooler than this in the summer. Recently we had a high of 48 degrees F one day. The local high school teams are called The Panthers, and it’s not unusual for a a bear (Ursus Americanus—often called a black bear, although the ones here are usually brown) to visit your yard during the night, looking for unprotected garbage cans. There are foxes and raccoons and cougars, and . . . well, you name it, since the town is located in Pike National Forest. The people of Woodland Park can find most things here in town, for shopping, although it’s necessary to drive down the slopes to Colorado Springs for unusual or big items. Colorado Springs is about 20 miles away. People come here in summer to fish in the streams, hike, camp, and to go off roading—two or 4 wheels. In the fall, you can hunt nearby—did I mention that deer will be in your yard pretty much every day here (I think they may outnumber the people), although these deer are protected and they seem to know it. Although there are probably several times the number of guns in town as there are people, there hasn’t been a murder here in about 14 years, and even then it was an outsider being killed (probably) by another outsider in a house—never solved. I’ve noticed that there are also a lot of churches in town. This seems to be a fairly faithful area, and a new Bible College was just built on the edge of town. 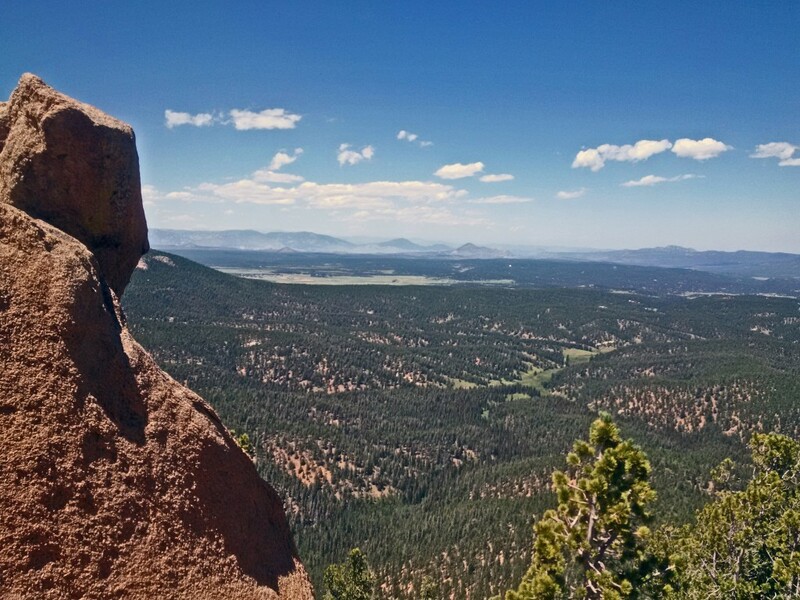 I hiked up a trail called The Crags. 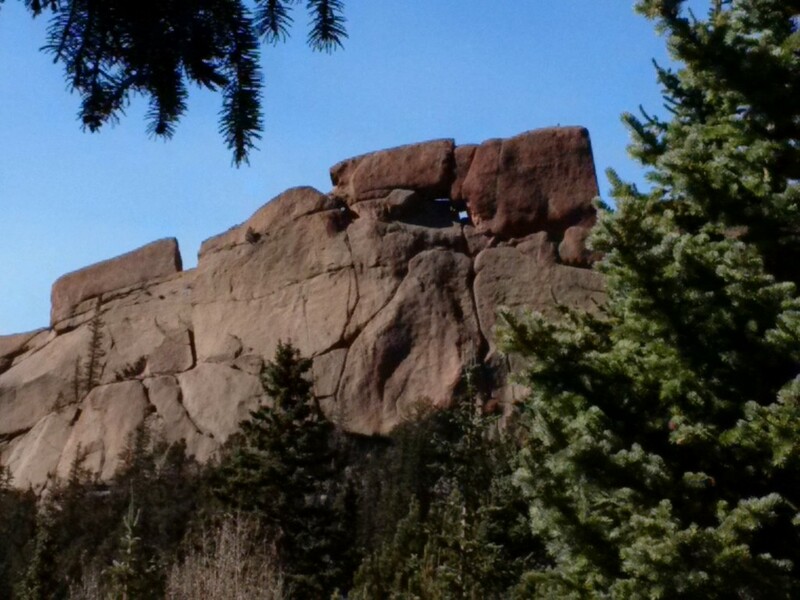 This is a rock formation attached to the north end of the Pikes Peak granite massif. It’s a relatively easy trail, and has nice views like this one at the top. Rome. 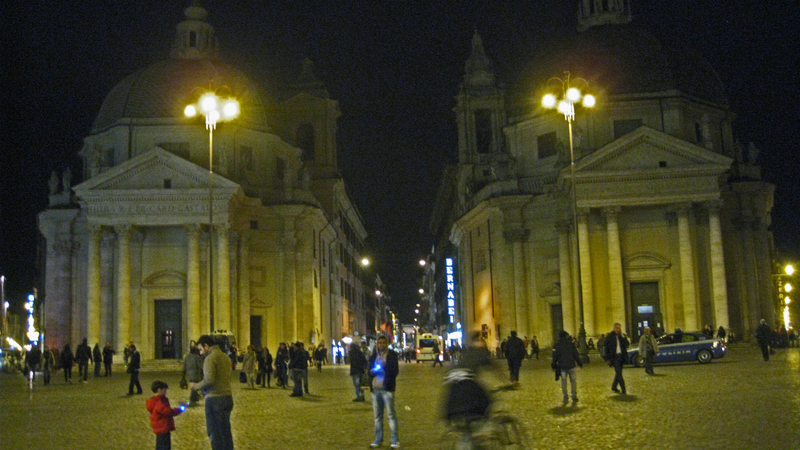 The “Twin Churches” in Piazza Dei Popolo (Piazza of the people), and actually I call them mirrored churches, because they look reflected to me. 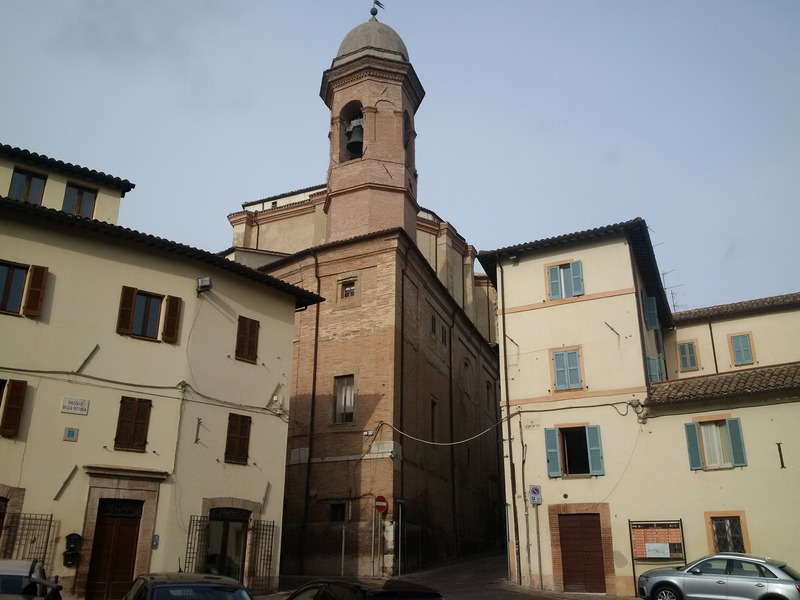 Santa Maria dei Miracoli (Left) and Santa Maria in Montesanto (Right). Taken in early 2013. 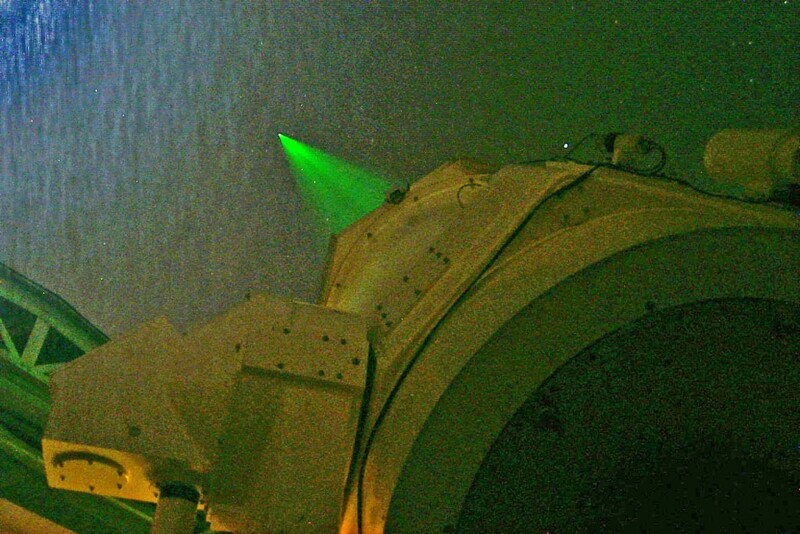 Photo taken in 1998 or 1999 from the STALAS facility at Goddard Space Flight Center at the base of the MLRO 1.5 meter telescope as it shoots pulses of laser light at a satellite in orbit. The system was measuring the range (distance) to the satellite with a single pulse precision of about 3 to 5 millimeters (depending on satellite±the system precision was <1 mm), and a normalized precision (multiple shot) precision of about 0.1 mm. This photo was taken during testing of the system, prior to it’s delivery and installation near Matera, Italy, where it served as an astronomical system, a system to measure tectonic plate motion, and for quantum entanglement experiments. Each light pulse was about 30 picoseconds in duration and had a peak power of around 3 gigawatts. The system was transmitting 10 pulses per second. 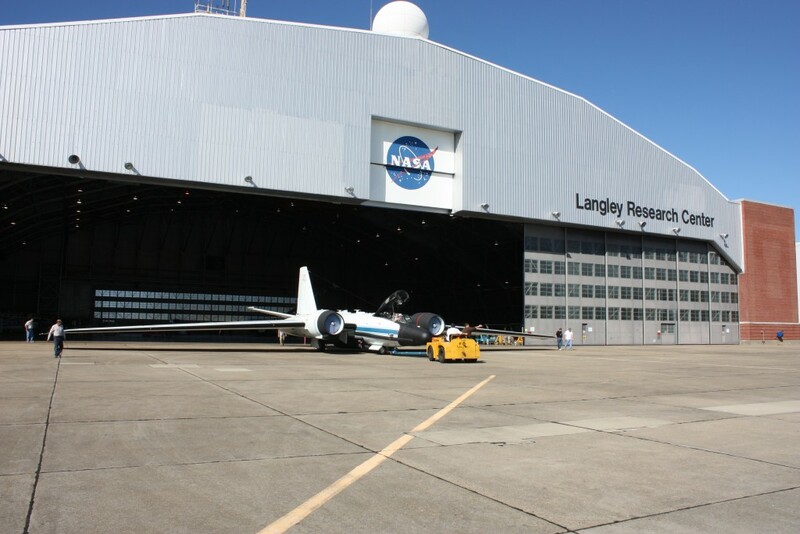 An interesting picture taken at NASA’s Langley Research Center, some years ago. The aircraft is being prepared for a flight test. San Pietro Caveoso—Matera, Italy Circa 2000? I’ve stayed in Matera so many times that it has begun to seem like one of my homes. In 2000, my team descended on the town to stay, as we installed the Matera Laser Ranging Observatory. 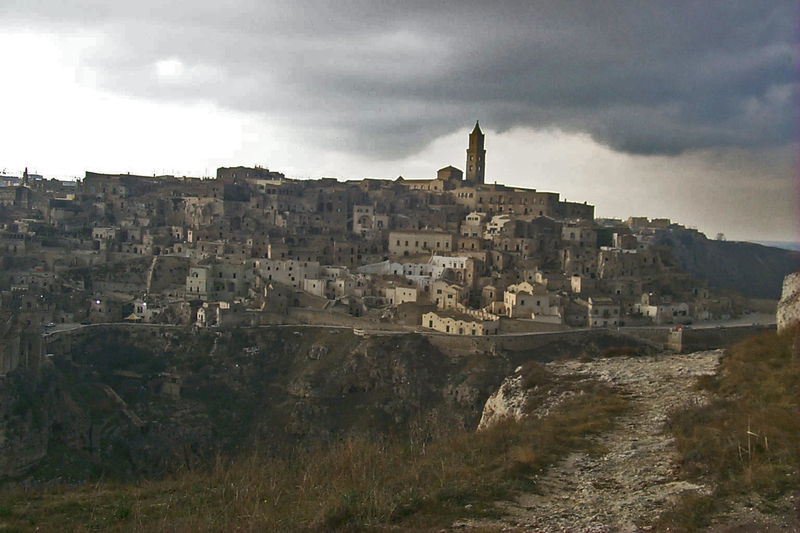 Matera is the location of one of the oldest continuous human habitations in the world. If you look across the canyon carved by the Gravina (the river at the bottom of the depths), you can see caves where humans once inhabited. The descendants of these early humans still live here in Matera. The Sassi (literally “stones”) are younger than this, but still old, having been carved into the limestone , and built out until the homes were half cave and half house. Some of theses hybrid features are visible in the church structure to the right, where its carved int the hill, still retaining a primitive look in places. I still journey to Matera, whenever I find myself in Italy, to visit friends, and the city. I took this picture while hiking up a trail that climbs the west side of Pike’s Peak—toward The Devil’s Playground. The picture looks west. Since I started too late in the day to do the whole trail that day, this was the point where I stopped at about 3:30pm. Checkpoint Charlie in Berlin, where I lived from 1961 to 1964. 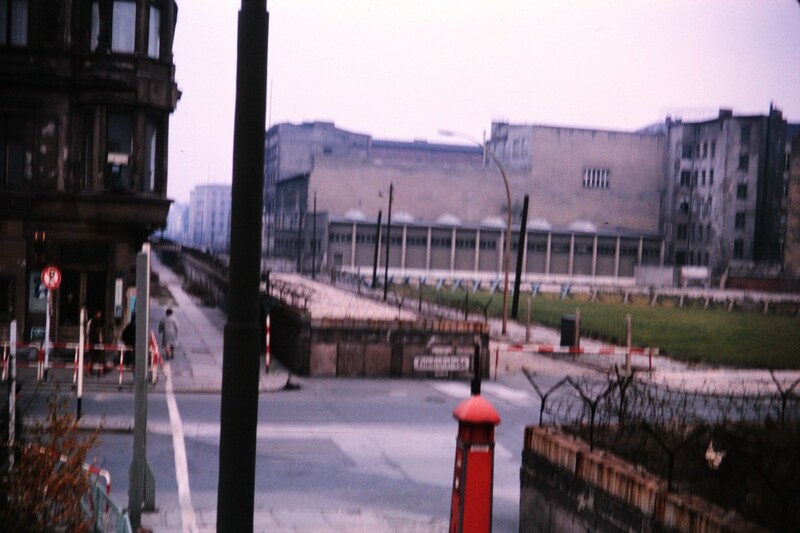 The wall was erected virtually overnight—barbed wire thrown up across the city, before more permanent barriers were gradually built up over time. This is a checkpoint, guarded at both ends, and through which you could pass if you had the right documents. Berlin was a divided city, with the Soviet block controlling half and the other allies from World War 2 controlling the other half. It was to have been an open city by agreement, but agreements don’t always mean so much. Since this was the early 60’s there were still many bombed out buildings in the city, but it was my home and I had many friends there (German, American, as well as citizens of other allied nations). 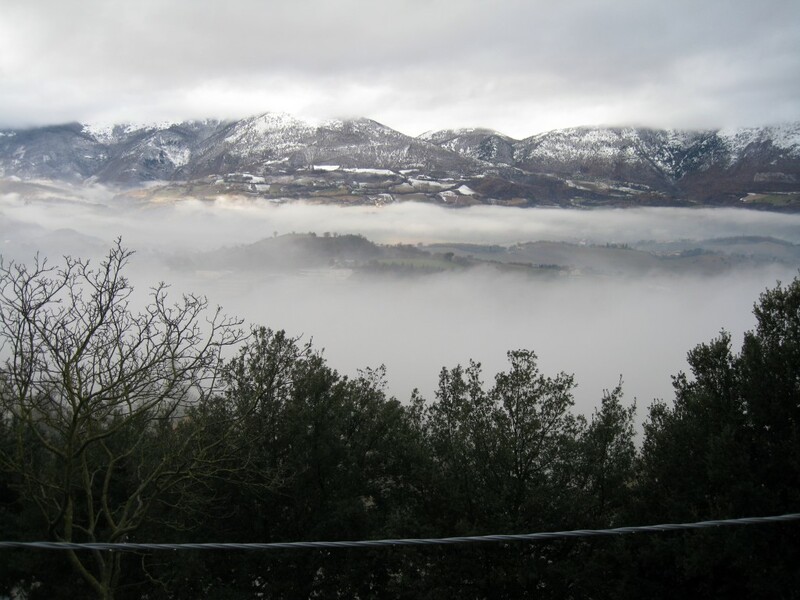 Christmas day 2010, just outside the walls of Camerino, Italy. I was awake early and the people I was visiting were still asleep, so I went on a 10-mile walk that morning—with my camera. 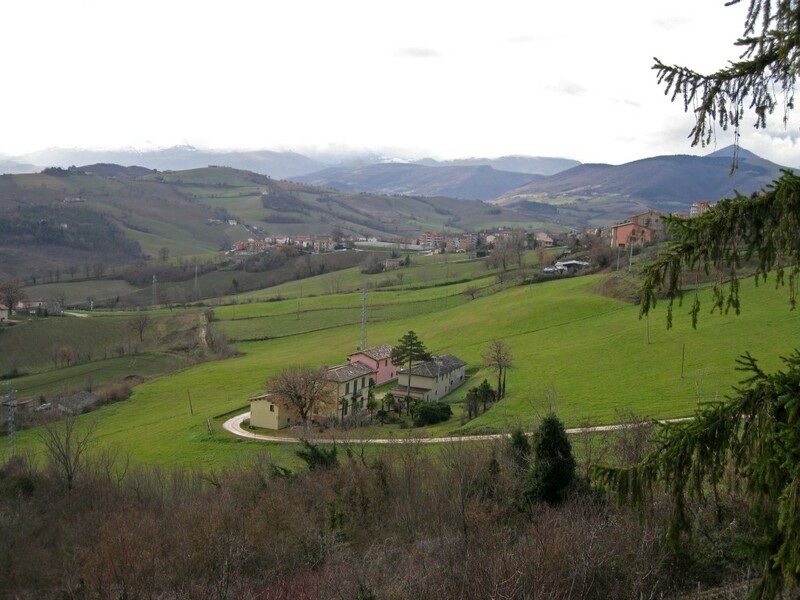 Camerino is in Marche and is the home of the University of Camerino. The town was founded in the middle ages, although the place has an even longer history. I like to spend time at the Bar / Coffee shop at the top of the town. The bar is called K-2, after the mountain, because it takes a bit of a climb to reach. Winter 2000, Matera, Italy. 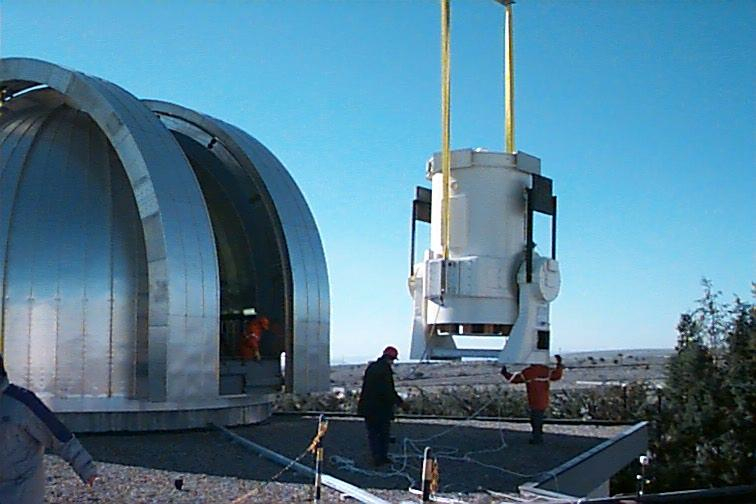 This was the second day of a 2-day installation of the Matera Laser Ranging Observatory telescope. The base of the telescope had been installed the previous day, but it was too windy that day to undertake installing the upper portion. This is a 1.5 meter (60-inch) diameter (mirror) Cassegrain telescope. 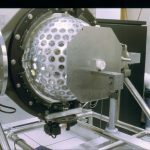 The primary mirror was aluminum coated with a stacked dielectric overcoating to optimize reflectivity for 532nm and 355 nm light (green and ultraviolet). These are the second and third harmonic wavelengths of an Nd:YAG laser. 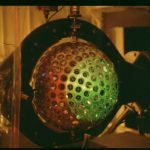 The system performs precise measurements (1mm) to satellites in orbit and also 1-centimeter level measurements to the retroreflector targets left on the moon by Apollo 11, 12, and 15. These all help improve our understanding of Earth science as well as relativistic science and lunar science. 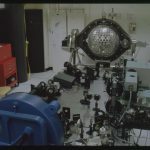 The system was built in the US for the Italian Space Agency and delivered to Matera, Italy, where the ASI (Agenzia Spaziale Italiana) has its Center for Space Geodesy. The city of Matera itself is one of the oldest continuously inhabited places in the world. My team developed this system and we delivered it to Italy in the year 2000. The 30-foot dome was manufactured in Jackson Mississippi. Cordoba, Spain. 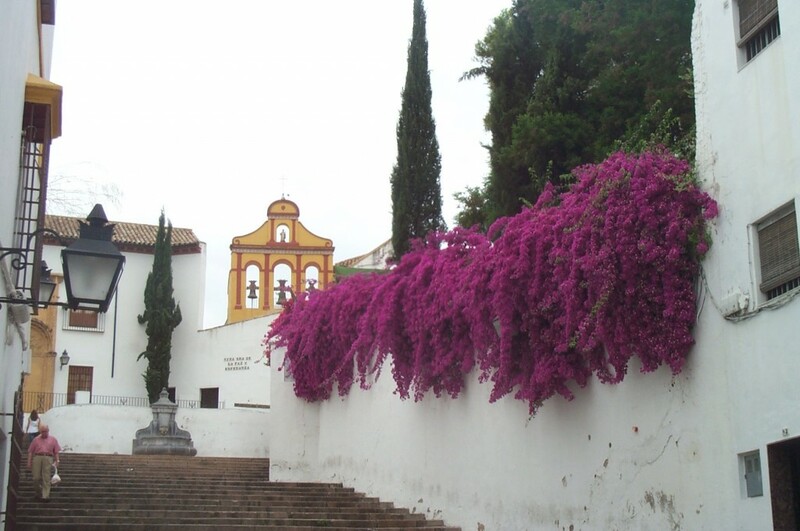 I visited Andalusia in May, 2006 and saw many beautiful things in the cities I visited. This image of the flowers against the white wall stuck with me for some reason. 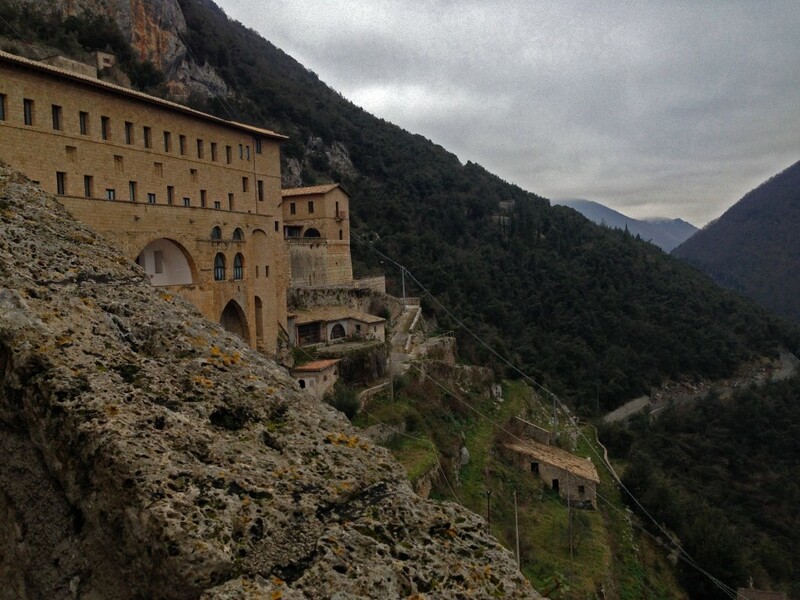 The monastery of St. Benedetto (Benedict),above the town of Subiaco, and above the monastery of St. Benedict’s sister, Saint Scholastico. This monastery is reached by a path that climbs the hillside. Part of the monastery is the cave where Saint Benedict lived. Photos taken from my office and bedroom windows (Black Friday morning 2015). 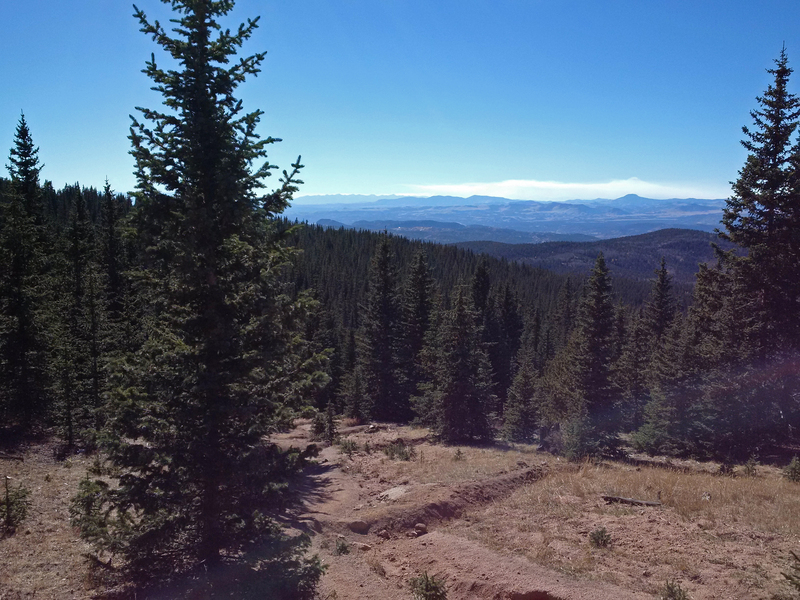 My house faces south, so I’m looking at the north side of Pike’s Peak and left(east) toward the rising sun through Ute Pass. 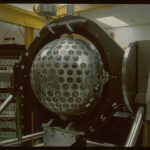 These images were taken in a cleanroom at Goddard Space Flight Center (in 1988), during the pre-launch testing and optical characterization of the LAGEOS-2 satellite. LAGEOS 1 and 2 are a part of a constellation of different satellites at various altitudes used to measure tectonic plate motion, deformation, and other characteristics of the Earth, like changes in the rotation, and the wobble of the axis. They are also used for other kinds of experiments, such as validation of the principle of equivalence for relativity, quantum entanglement, as well as less esoteric things like Earth tidal changes. These are science satellites, but they can also serve as convenient calibration targets for RADAR systems tracking in orbit debris or even for missile defense. LAGEOS-2 is a passive satellite (which means there are no electronics or other active parts of the satellite. It has a brass cylindrical core (for stability) covered by an aluminum skin, into which are inserted cube corner prisms, used to reflect laser pulses from ground stations. There are 426 cube corners total, 422 in the visible optical range and 4 germanium cube corners (arranged in a tetrahedral configuration) for long-wavelength applications. There are twoLAGEOS satellites, in complimentary orbits, both at an altitude of approximately 6000 km. Each has a diameter of about 60 cm and looks like a great big golf ball. I was privileged to be a part of the team doing the re-launch testing, as well as having used them in-orbit for different experiments. NASA and an international coalition of space and science agencies worldwide use the constellations of satellites, as well as other satellites equipped with cube corners. 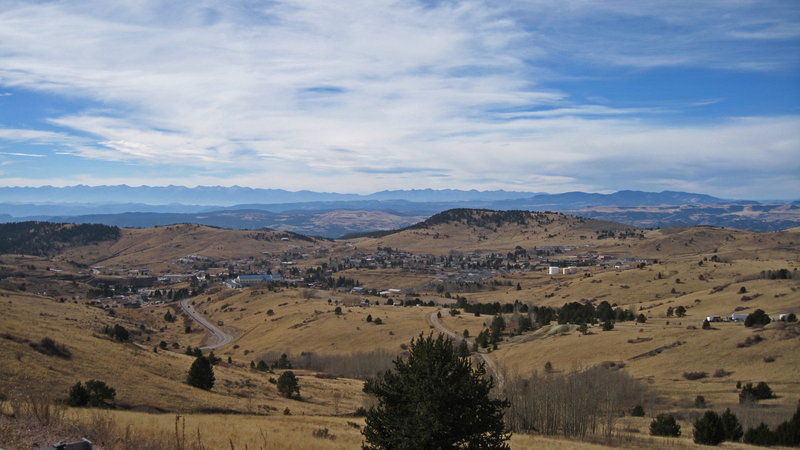 The town of Cripple Creek, Colorado—at almost 9500 ft., it’s about a 30-minute drive from my home. Cripple Creek is the site of one of the largest gold strikes in the US and there is still an operating mine in operation, which is producing more than 200 thousand ounces per year. It is also the county seat for Teller County. The town is one of the few places in Colorado able to have casinos. The weather opened up with blue sky for a little while, so I went for a ride. Still getting used to the new tires. 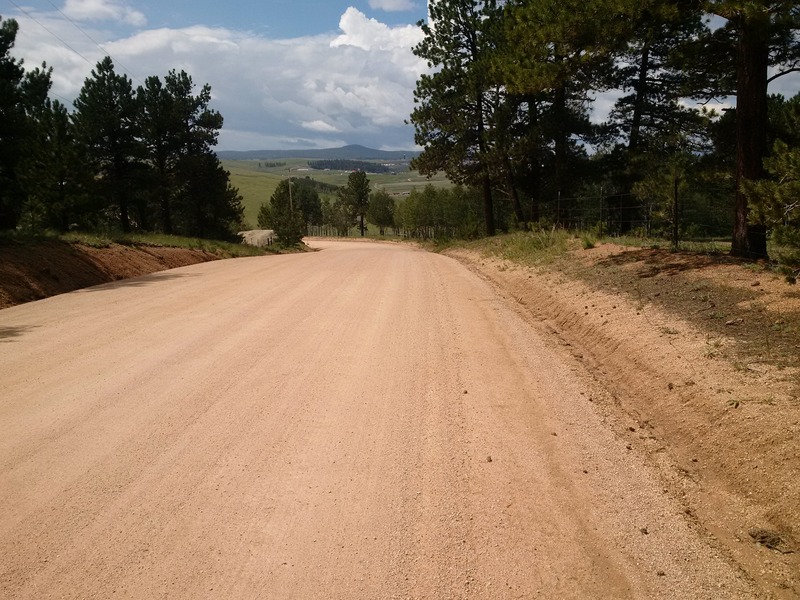 I wouldn’t take them on a true off road path, since they’re really 50 /50 (road / dirt) tires, but they’re good on these forest roads and on regular roads with sand and gravel sprinkled across the surface. Plus, you need to expect to fall on true off road wild paths, and I’d rather ride a 200 to 250 pound bike when I fall than this 500 pound bike. Taken from a trail where I was doing some backcountry cross-country skiing this past week (in February 2017). About 15 minutes from my house. For about 10 years I lived in downtown Baltimore, in the neighborhood called “Canton”. I had a condo in a high rise, right on the harbor. 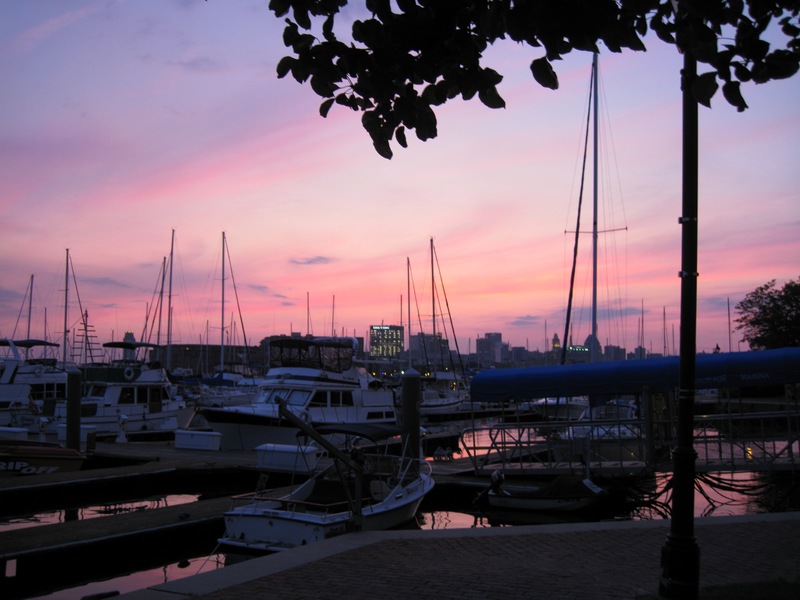 There is a walkway that goes around the harbor from Canton, through Fells Point, Little Italy, Inner Harbor East, Inner Harbor, and on to Federal Hill. I took this photo while walking along the water near to my home, sometime in 2013. 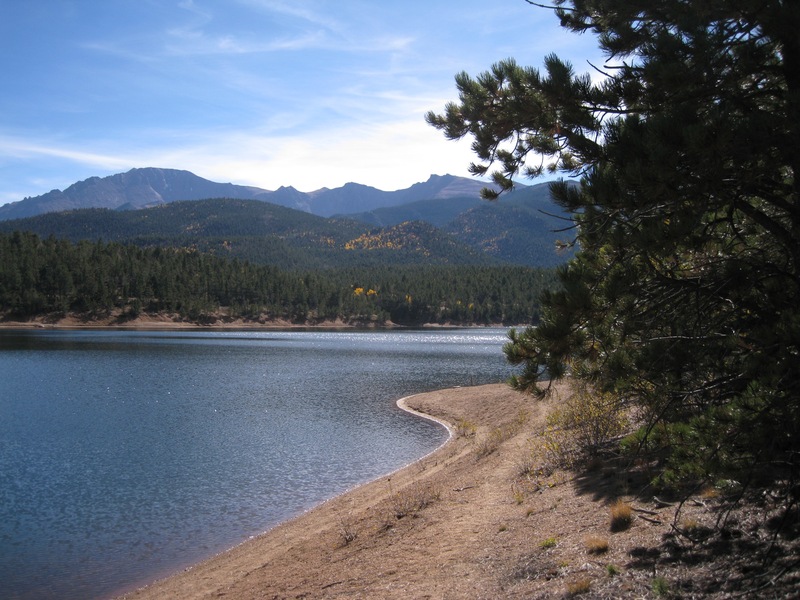 This past fall, I drove part way up Pike’s Peak (peak in the background) to walk around the lake before full fall hit. You can see a few aspen trees (yellow leaves) mixed in with the evergreens. April 16—after the first night of snow. 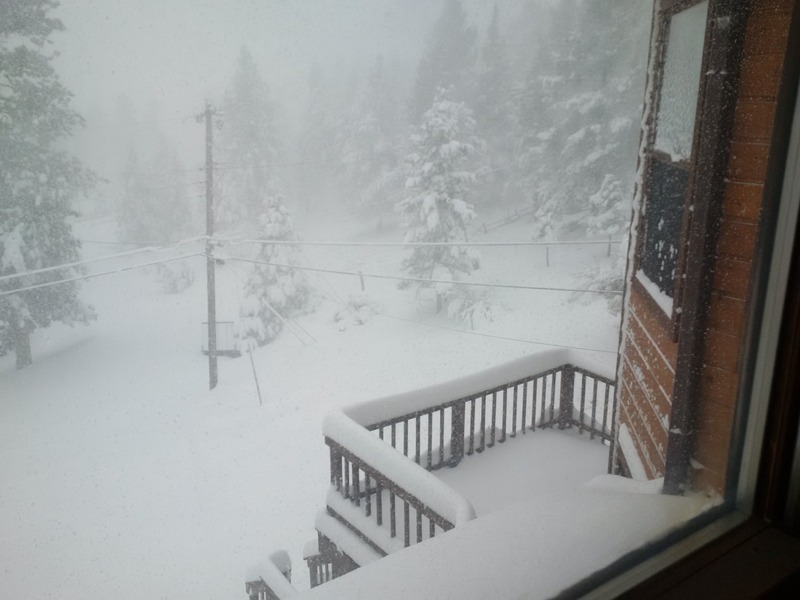 We received about 12 inches in the first 24 hours and another 12 inches the second day. 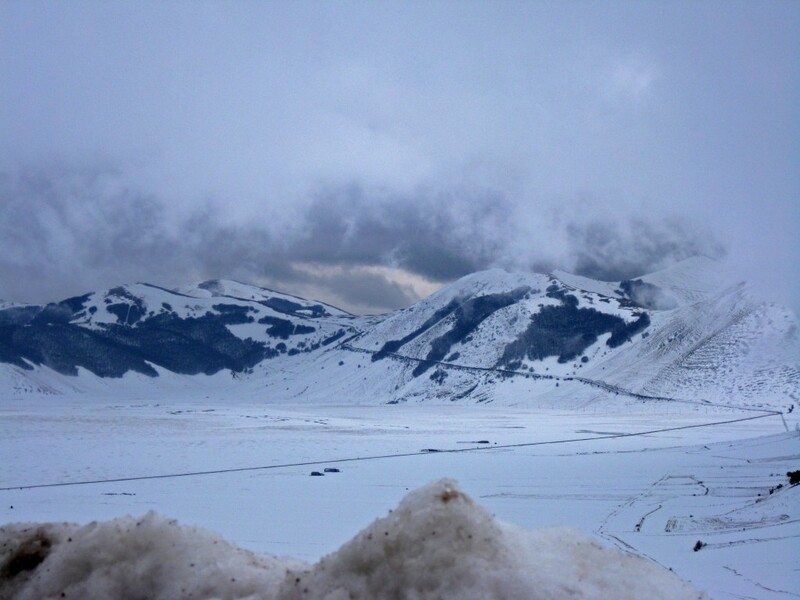 The snow continued as flurries until around April 19. It can snow as late as June here in the Colorado mountains. Last year it stopped after mid-May, and we received a foot of snow on mother’s day. 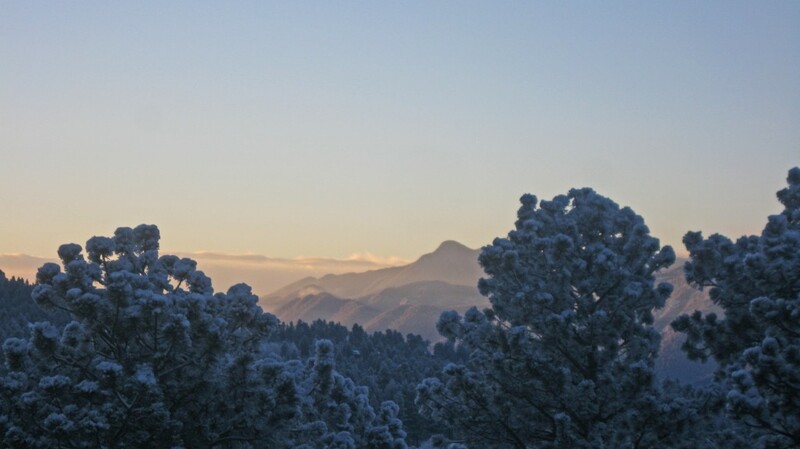 Winter in the Colorado mountains can start as early as late September. 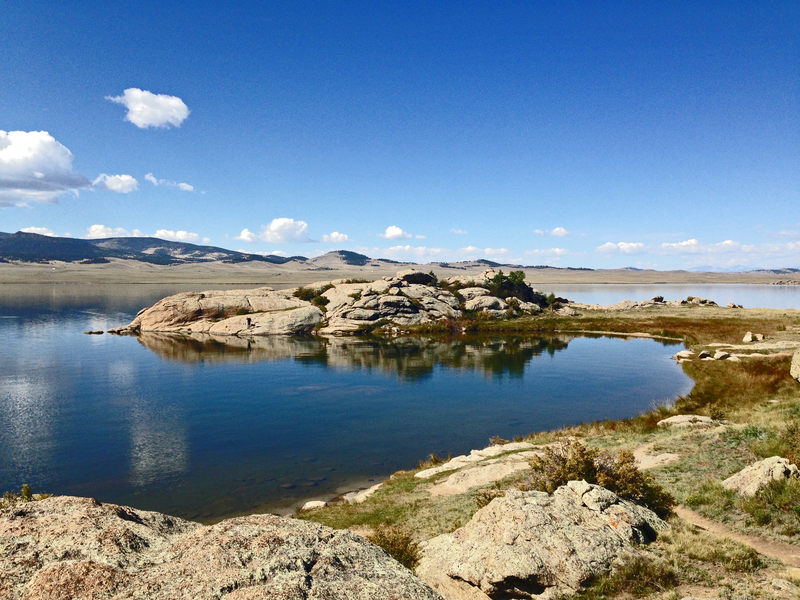 Photo taken at Eleven Mile Reservoir. This long body of water was originally formed when a volcano blocked the flow of the South Platt River. Today, it’s a park and recreational area, located on the edge of the South Park Valley, near Lake George CO—about a twenty to thirty minute drive form my house.